This webpage is optimized for Google Chrome. Please note that there is a 5 minute delay between when content is updated and when it appears on this website. If you are having difficulty viewing an updated version of "Today at School," click here to view the bulletin in The Archbishop Williams' Google Drive (N.B. 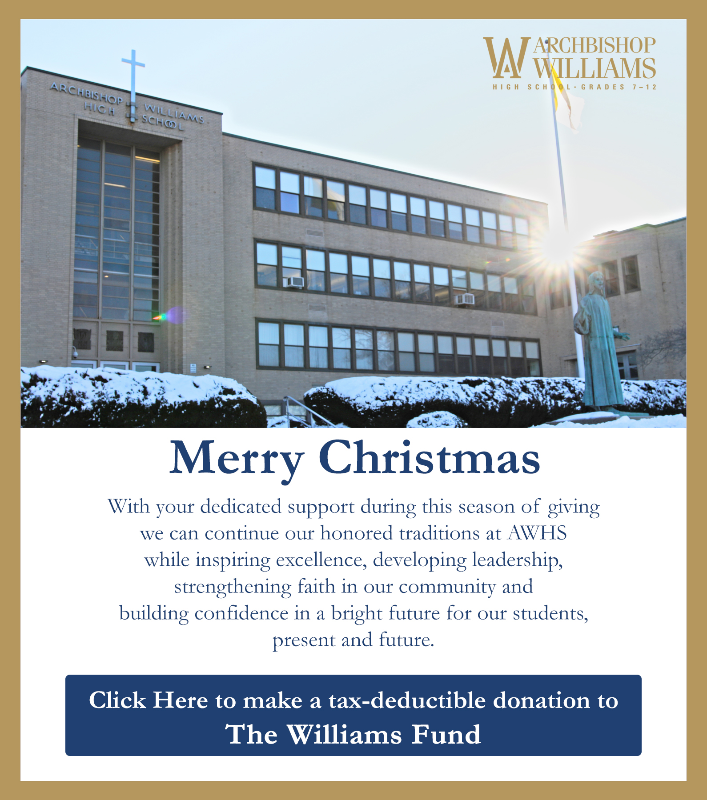 You must be logged into your Archbishop Williams Gmail to view).